A guest post (the post) is any article, paper, video, image, or other content provided by a person or organization external to the Tek Eye website. The name of the post's author must be provided and is published with the post. 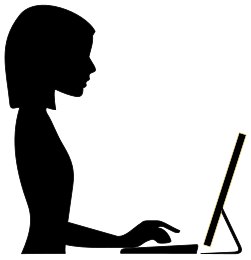 Articles written under a pseudonym or fake online profile will not be published. The author retains copyright of the post and can request removal of the post at any time. Posts must be primarily technology-related in nature. The post must contain useful information to a technically interested person. Payment for posts is not usually provided. Posts that are written to only promote other websites are not published. Posts that request money or funds, or link to other websites that request money, will not be published. Posts that link to other websites that then link to dubious content will not be published. The post must not defame a person or company. The post must only contain links relevant to the content. The post must contain text and images only. Source code listings are text and are therefore allowed. Videos are only allowed via a link to a public video streaming service. The post must be written in a high standard of English. The supply of a post for publishing does not guarantee it will be published. All copies of any post supplied that are not published will be deleted no later than 30 days after the decision. The post must be unique and not published anywhere else. Posts will be removed if copies are published on other websites. Posts will be removed if a bona fide legal takedown notice is received. Post removal occurs within 30 days from a valid removal request. Submissions that do not meet the above criteria, or are of low quality, will not be acknowledged. View the Tek Eye full Index to see all the articles published to date.